Provides genuine cellular repair in aging, demineralized, dehydrated skin, marked by wrinkles, small lines and slackening tissue. Protects catalase and epidermal enzymes. Naturally rebuilds the matrix in conjunctive tissue by improving fibroblast activity. 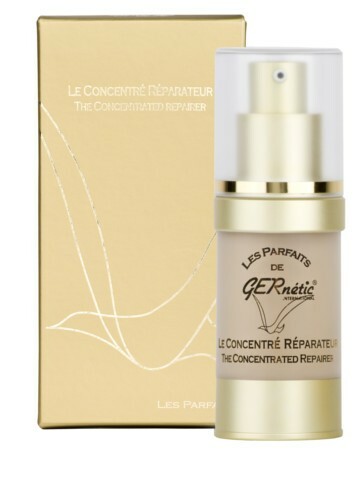 Stimulates the synthesis of collagen I by 117%, collagen IV by 327% and the production of glycosaminoglycans by 267%. Regeneration, nutrition, cellular stimulation, hydration. Anti-inflammatory, healing, calming, anti-allergic and anti-free radical action. Stimulates cellular respiration by 131%.